Sat-Sun- 2 p.m -6 p.m.
*Saturday’s and Sunday’s are reserved for birthday parties and private events from 9:00 am – 1:45pm. Children will have access to all equipment. 10% discount military, teacher and therapists (valid ID required). GROUP DISCOUNT: 10 children or more $8 per child. 10 percent off of event room rentals. 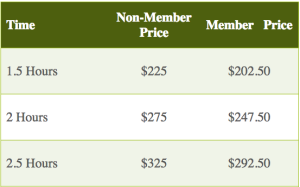 Free / member pricing on special events. 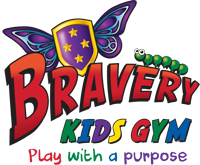 BRAVE KIDS NIGHT– Every 2nd Thursday from 5-7pm we will have our “Brave Kids Night” for exceptional children and families at $6 per child. BRAVE TEEN NIGHT- Every 4th Thursday from 5-7 is our “Brave Teen Night” for teens exceptional teens and their families at $6 per child. BIRTHDAY PARTIES – Reserve the gym and event room during specified hours to host a private party closed to the public. Includes rental of the facility, tables and chairs for up to 30 kids. Outside food and drink are allowed during private parties. Saturdays and Sundays 9 am – 2 pm. Private use of the entire gym. 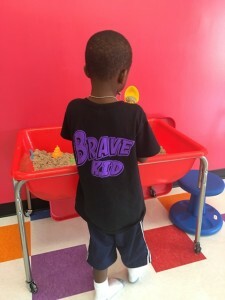 Brave Care is a drop off program for children of all abilities ages 3 to 10. Contact us for dates and availability. Members, $30 for first child, $10 additional dollars for every sibling. Non-members, $35 and $15 additional dollars for every sibling. SPECIAL EVENTS AND CLASSES – Yoga Magic 4 All, P.O.P.S. Fit Boot Camp, Story Time, Play Groups, and various other activities. Prices vary. RETAIL AREA – We have a small retail area at the front desk with a variety of handpicked sensory items. Some items available for purchase include: chewy tubes and accessories, sensory brush, flexi cups, fidget toys and handwriting aids. 10% Military, teacher and therapist discounts apply. To enhance a safe and positive experience, weighted vests, noise reducing headphones, fidget toys, and other adaptive equipment will be available during play. Support Group Meeting- Host your support group meetings at Bravery while your children play with supervision provided, prices vary by size of group and scheduled time. Outside food and drink will be allowed in event room only.